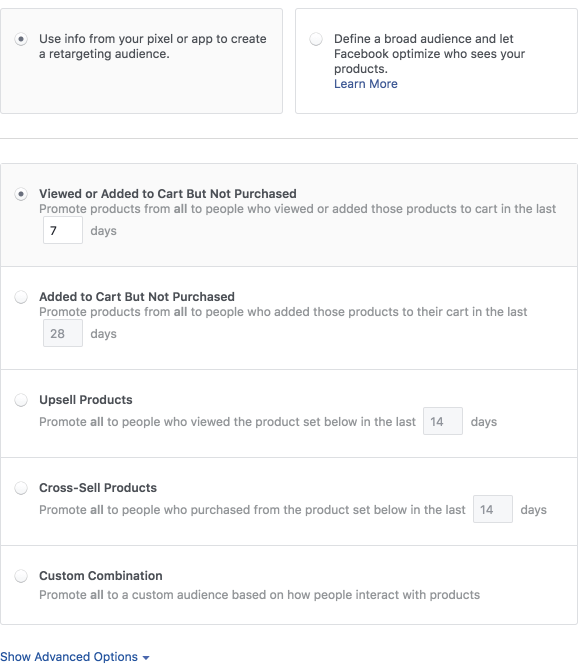 If you ask a dozen different Facebook advertising experts how to properly scale accounts, you’ll no doubt receive a dozen different answers. Scaling effectively doesn’t follow an easy-to-follow recipe. But if you’re someone who enjoys multivariate testing, monitoring campaigns closely, and moving potential customers along your sales funnel in creative ways, scaling will be very rewarding. You’re also probably a super nerd like me. That said, if you’re someone looking for a “set it and forget it” plan, scaling will prove difficult and tiresome. Scaling techniques change frequently and with just a minor algorithmic shift, your ads can quickly turn to dust after performing perfectly the day before. To scale successfully and sustainably, you can’t just increase your budget, leave it, and see amazing results. This method of scaling, also known as vertical scaling, depends entirely on the budget being the only lever you can pull for improved ROI. Instead of using only one lever, I prefer utilizing horizontal scaling. In this case, an advertiser spreads testing across multiple ad sets, audiences, and types of creative with the overall purpose of building a more stable account structure for long-term, scalable success. Solution: Try launching ads to two new lookalike audiences based on pixel events. You can group them into one ad set or separate them, depending on the amount of audience overlap between them. Most advertisers test a 1% lookalike of previous customers as their first prospecting audience. 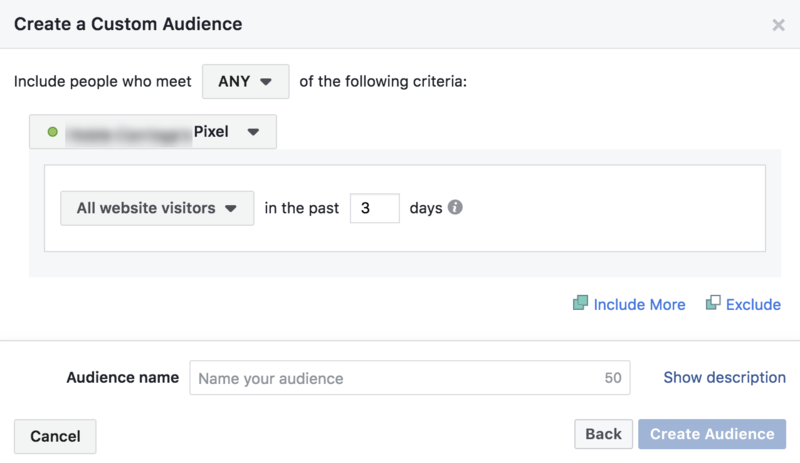 This is a great start, but as a next step try building lookalike audiences from pixel events. Customer lists work well, but pixel events are dynamic, meaning the core audience updates in real time and the lookalike audience regenerates every 3-7 days. First, set up the add to cart audience pool for the last 30 days. If the site gets solid traffic volume, meaning at least 5,000 uniques per month, I’ll also create a 2X add to cart audience, from which I create a lookalike audience. Then create the lookalike for that audience. Then create the Page View Audience. The 2X Page View last 30-day audience is preferred because these people viewed at least two pages on your site in the last 30 days. They are more valuable than those who came to your site once and left. 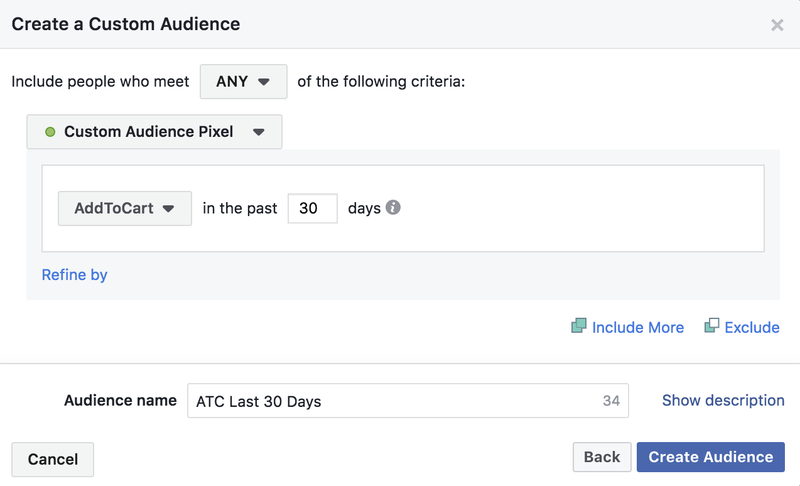 Now that you’ve built these audiences and their lookalike counterparts, you can use them in either separate ad sets or group them together, depending on how they overlap with one another. You can uncover this information with the Audience Overlap tool. In some instances, visitors who simply browse your site might have many different qualities and behaviors than those who actually add something to their cart. 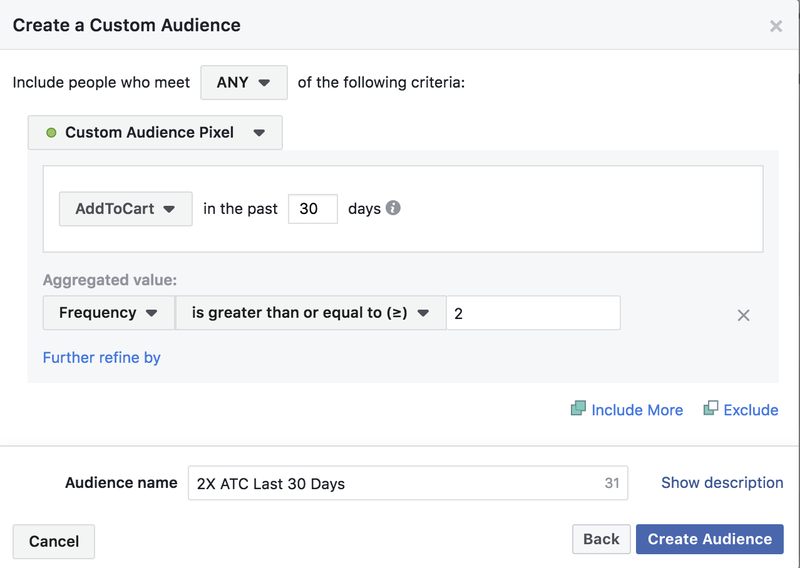 However, they can also be similar, so ensuring the audiences are different will help you in the Facebook ads auction so you’re not competing against yourself. 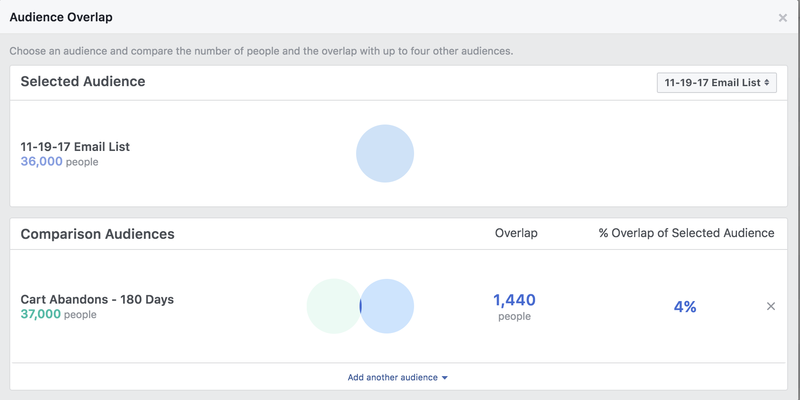 It’s important to keep in mind that you can only obtain useful overlap information from audiences with at least 10,000 people, so remember that fact when selecting audiences to compare. You can use Custom Audiences, Lookalike Audiences, and Saved Audiences. To get started, head into Audiences. Second, select two or more audiences to compare. Your overlap will be displayed. Smart advertisers will try to avoid any overlap north of 20-30%. If the overlap is higher, you can group those audiences into an ad set to avoid bidding against yourself. Solution: Most advertisers have a super simple remarketing program running on autopilot. They need a more sophisticated approach. Consider this: if you saw something 14 times in 30 days, would that encourage you to buy it? That level of frequency would most often lead to annoyance. So in most cases, the mistake that’s being made is lumping all remarketing traffic into one ad set with the same pitch going to the same group. If you visited a website 90 days ago and you’re seeing the same message as someone who came to the site yesterday, this is clearly a problem. Remember: effective remarketing is about quality, not just quantity. The solution to this problem is to set up different time windows with different ad creative/copy pitches going to each grouping. You don’t have to get super complicated from the get-go; you can start smaller and work your way up. Begin by creating different windows for your remarketing ads. When starting to scale an account, I drive new traffic into my top funnel and hope they stick with me for a longer journey. 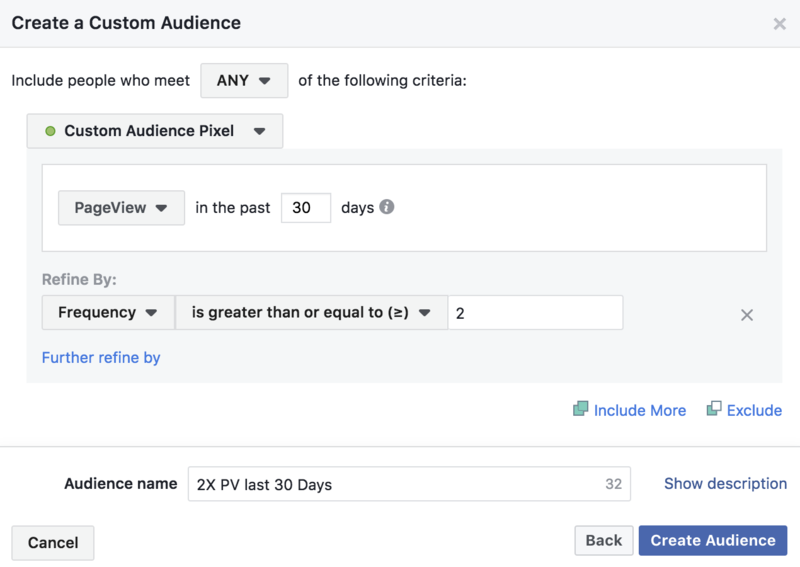 At a minimum, I like to start with a 3-day, 10-day, and 30-day audience pool via the Custom Audience creation tool. If you’re an e-commerce retailer and you have Dynamic Product Ads running, you can also customize those time windows. Each of these pools then gets an ad (or a personal pitch) that is a little bit different from the next. Someone who came to your site 30 days ago might need a little bit bigger of an incentive than someone who visited in the last three days, for example. You can customize these pitches with different offers, promo codes, and more. The different time windows allow you to scale sustainably because you’re showing a variety of value propositions to your audiences, thus helping you learn what exactly is resonating and what isn’t. You’re diving deeper into customer data, ad optimization, and creative/copy testing–in other words, the true essence of horizontal scaling. When it comes to scaling, there are countless nuances and unlimited “what if” scenarios. This results in a great deal of confusion, which is exactly why Jon and I are focusing on scaling for this month’s training program. Another reason why we wanted to build this program is because so much of the expert advice about scaling is just plain wrong, misleading, or outdated. I’ve successfully scaled accounts from spending $2,000/month to $200,000/month, but I didn’t do it overnight. I’d love to share some of these experiences with you! What have you learned about scaling? Anything else you’d add? 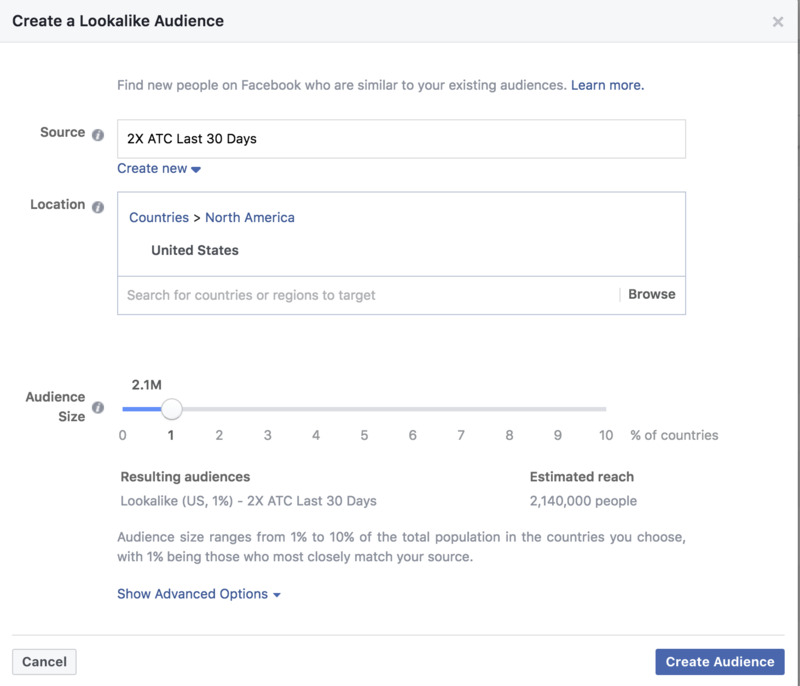 The post Two Strategies to Scale Your Facebook Ads appeared first on Jon Loomer Digital.